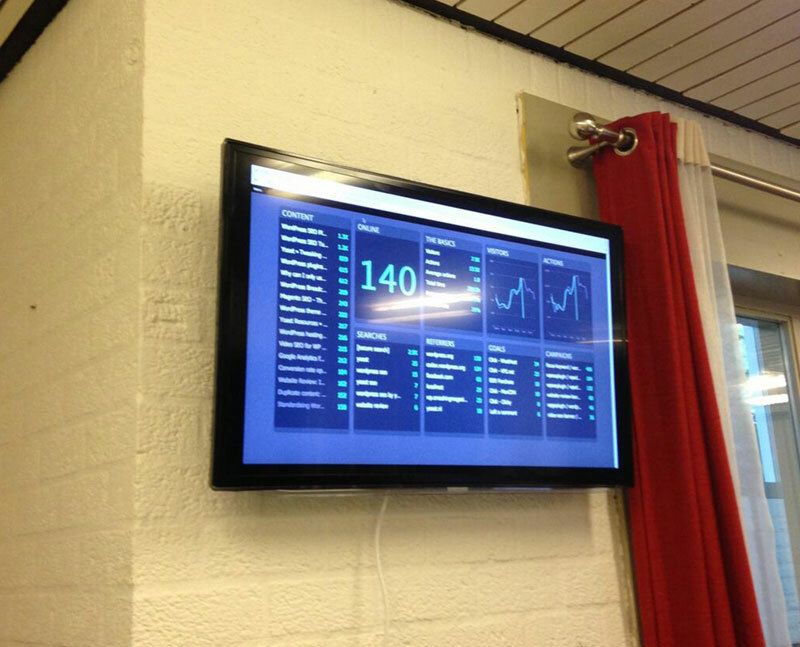 Big screen is a generic dashboard optimized for a large screen, showcasing what we feel are your most important metrics. At this time, it cannot be customized, although we may offer that in the future. Big screen automatically refresh once per minute so please don't setup a process to manually refresh it for you! In action, courtesy of yoast.com.